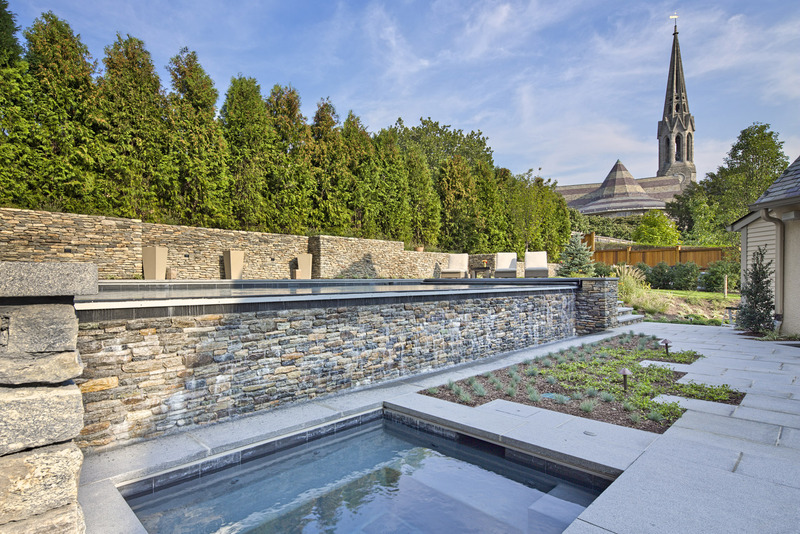 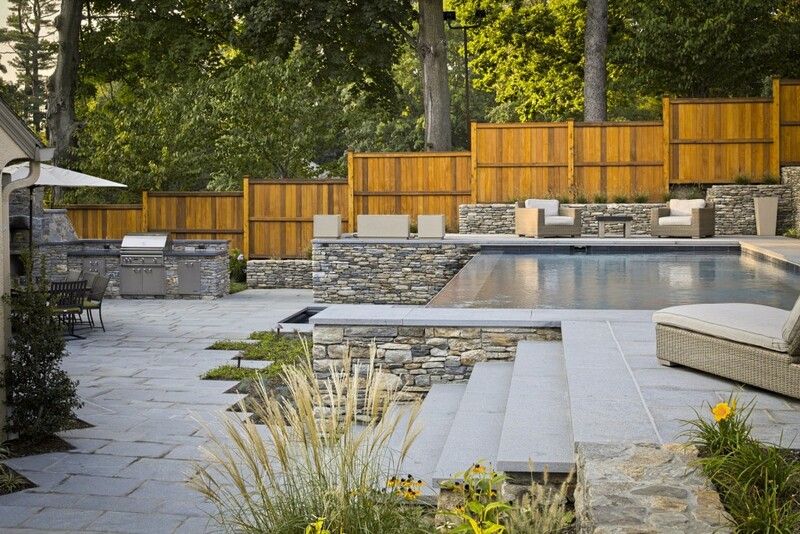 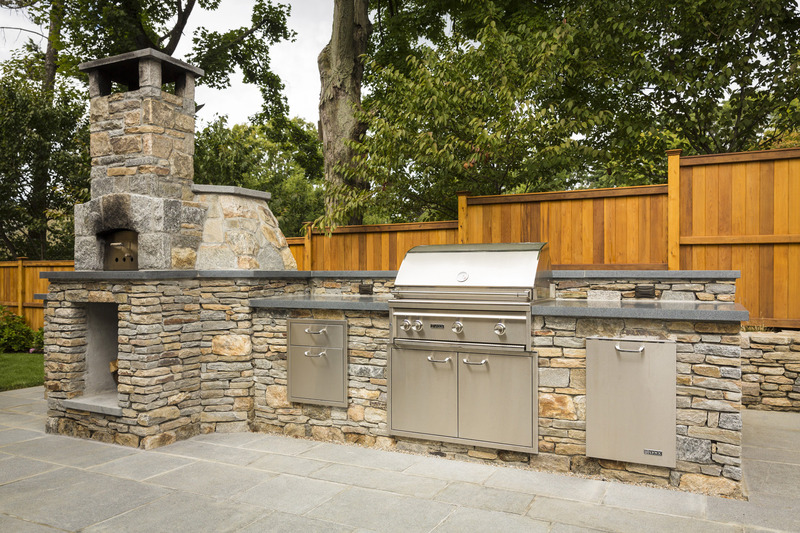 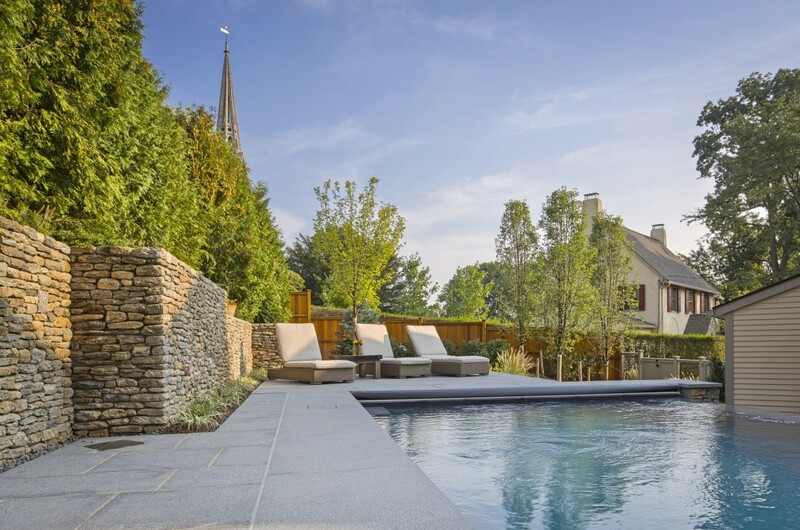 Intricate, Ashlar stone masonry transformed this in-town back yard into an intimate, Mediterranean escape. 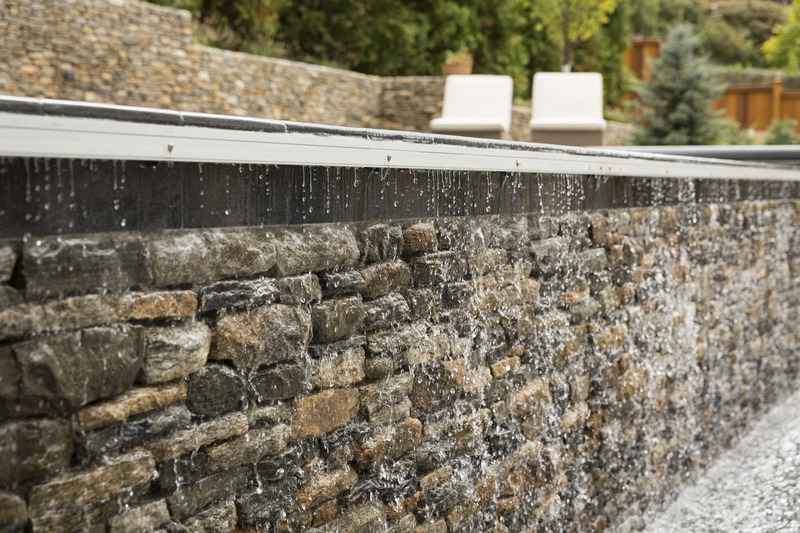 The swimming pool’s vanishing edge faces the home and creates a magnificent 30ft waterfall that drops behind the ground-level spa. On the lower level patio, the wood burning pizza oven is the centerpiece in a custom gourmet kitchen.